Hi guys I'm back with a new outfit post! Sorry for some blurry pics though. Due to no tripod, these pictures were all taken by my maid and she didn't understand how the camera works so yeah. Hows your day? I've finally finished my exam *yeay* and now waiting for next year to go to Lasalle. I wanted to go to Singapore this November to attend Anime Festival Asia but my friends couldn't join me and my mom won't let me go to SG alone so plan cancelled! *sobs. I bought the top when I visited Bangkok few months ago. You do know I love cats right? Moreover, the cat eyes are blue so I bought it. 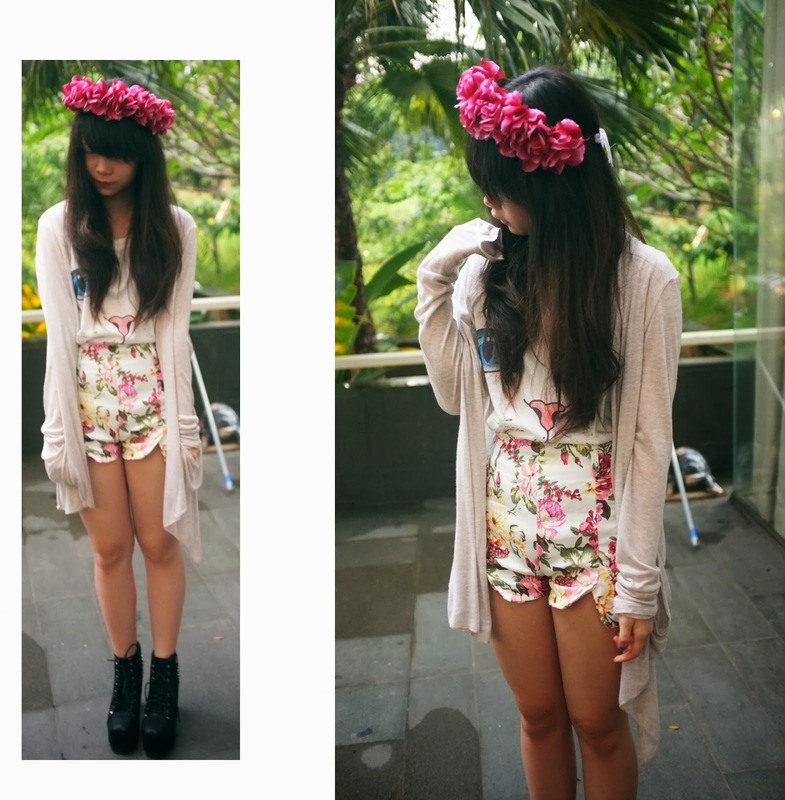 The flower shorts has scallop cut and its very unique in a way. It adds feminity to my outfit. 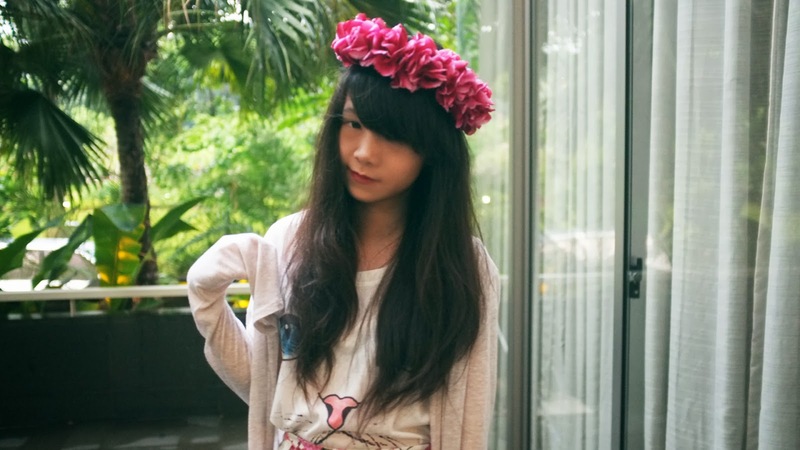 Because its a flower short, I decided to add a flower hair crown which I bought from Inspiredbyluce and whualah~ I look like a tumbelina? Haha. I don't really like feminine outfits so I match my feminine outfit with my rocking shoes that I bought at Bangkok. Akkk why are u so cuteee? Cathhh you look so kawaiii! 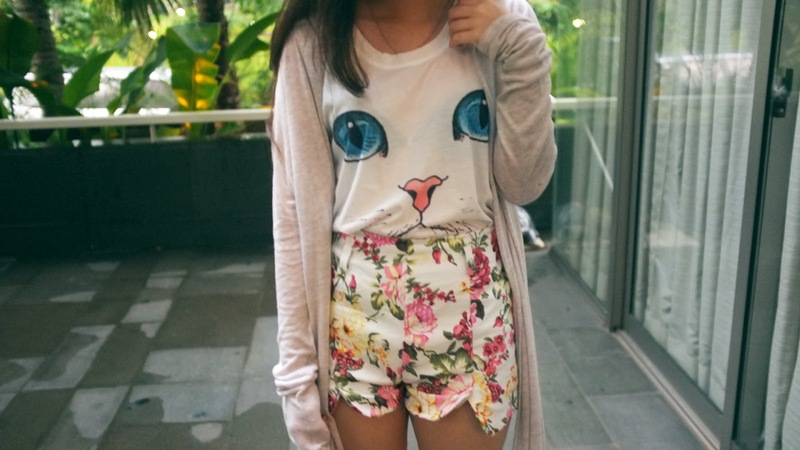 Love the flower crown and cat top soo cute! Cathy this is cute! 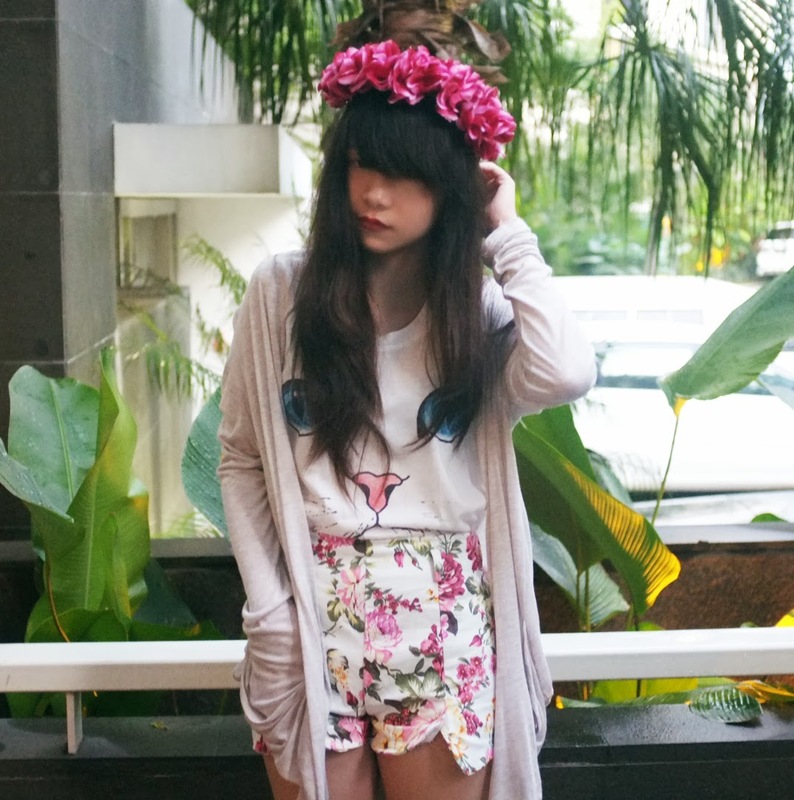 love love the flower crown.